Near the corner of BIA (Bureau of Indian Affairs) Road 22 and Allen Road on the Pine Ridge Reservation of South Dakota, you’ll find a spiritual intersection where cross-cultural connections take place. Tour the region and you’ll be amazed by the vast open spaces and breathtaking vistas, but your jaw will drop at the evidence of destitution that dots the landscape. It’s into the midst of such poverty and a variety of related social ills—alcohol and drug abuse, joblessness, lack of education, general despondency—that Tim and Kim Wardell were called. Not a situation that just anybody would be vying to jump into, it was a golden opportunity for high-impact ministry and teaching. But since the Wardells arrived in September, they’ve discovered that they’re not the only ones with something to teach. Tim and Kim Wardell serve as Church of God home missionaries to Pass Creek Church of God in Allen, South Dakota, building upon the foundation laid by Barry and Shelly Bentley. Long before Church of God Ministries ever commissioned them to leave their mild Georgia winters for the brutal blizzards of the badlands, God was preparing their hearts for Native American Ministries. Since 2009, Kim made the trek annually to Allen with their home church of Town Center Community Church of God (now Legacy Church) in Marietta, Georgia. 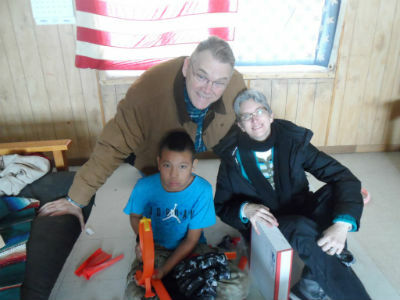 Mission trips to the Pine Ridge Reservation were common for the Georgia congregation, which spawned the incredible “ministry of presence” and Christmas shoebox distribution led by the late Janice Turner. During these mission trips, Kim developed and nurtured relationships with the Lakota people that continue to this day. 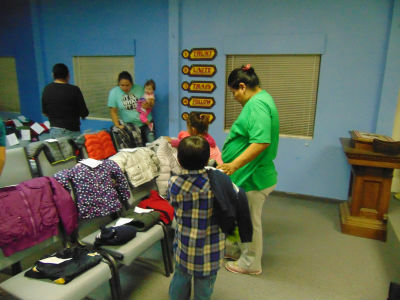 Photo: Coats distribution at Pass Creek Church of God. Another way the Wardells are ministering in Allen is through the provision of warmth. 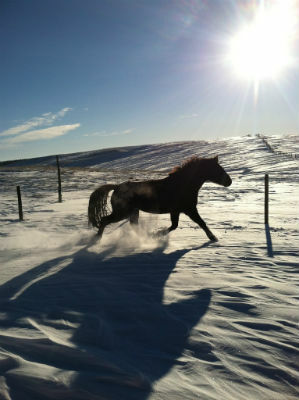 “Winter is extremely cold here,” Tim explains. “But because of poverty, these kids walk around with sometimes very little on.” So they collected and distributed coats in November to the community, just in time for winter’s wrath. While the Wardells are very intent on teaching the locals to provide for their own households, this was an immediate need that simply couldn’t be ignored. Still, it’s vital that social problems be addressed with more than a Band-Aid. Tim and Kim want to see life transformation among their neighbors where, in perhaps a few years from now, fewer and fewer people will need handouts—either from the government, or from the church. There’s a misconception among many in these Native American communities that the church exists for the primary purpose of meeting the needs—and often the wants, as well—of people. While community service is a natural extension of a church that loves people, the Wardell’s prayer is to see the fruit of lives changing and more and more indigenous leadership taking hold. Photo: Allen winters are brutal, but this scene is beautiful. As a first step, they’ve established what’s known as the Lakota Trading Post. Most people do not use online banking and, besides WIC, there isn’t much in the way of electronic transaction. To serve as the online go-between, Kim is making the crafts and jewelry of individuals available online for sale. Proceeds go directly to the individual, and the sellers begin to open their eyes to the skills they have and feel more empowered to provide for their own families. It’s all a part of an intentional strategy to “turn this into an indigenously sustainable culture,” as Kim puts it. This kind of empowerment brings about a healthy sense of self-worth and pride in one’s work. “By this time next year, they may be able to purchase their own winter coats,” she says. The gospel, Christmas shoeboxes, winter coats, and job skills are just a few of the many things Tim and Kim are passing along to the people of Allen. But by word and by example, they’re discovering that there is much we can learn from the Native American culture, too. Visit the Lakota Trading Post online at https://www.etsy.com/shop/LakotaTradingPost. To support the work of the Wardells at Allen, South Dakota, mail your donation to Church of God Ministries, PO Box 2420, Anderson, IN 46018. Be sure to write Project 43.15585 on the memo line. Or, make your donation by phone at 800-848-2464. Learn more about the Church of God at www.JesusIsTheSubject.org. This entry was posted in All Church of God, Home Missions and tagged Allen, coats, community outreach, cross-cultural, cultural, diversity, home missions, learningm, multicultural, Native American Ministries, Pass Creek Church of God, Pine Ridge Reservation, poverty, shoeboxes, South Dakota, sustainability, teaching, Tim and Kim Wardell, unity. Bookmark the permalink.